Kyoji Horiguchi just keeps gathering momentum. Brian Ortega made a huge statement last night (Sat., Mar. 3, 2018) at UFC 222 live on pay-per-view (PPV) from inside T-Mobile Arena in Las Vegas, Nevada, when he became the first fighter to finish former UFC lightweight champion Frankie Edgar with a vicious first-round knockout. Ortega took his time in the early going, allowing Edgar to move around the outer edges and gain a little confidence. 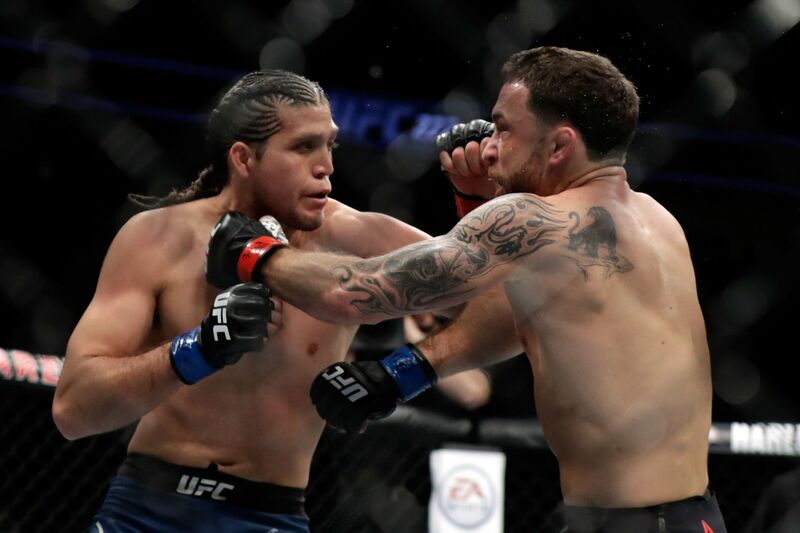 At one point when Edgar stepped in for an exchange, Ortega caught “Answer” with a filthy left elbow and an uppercut that would have made Francis Ngannou proud. 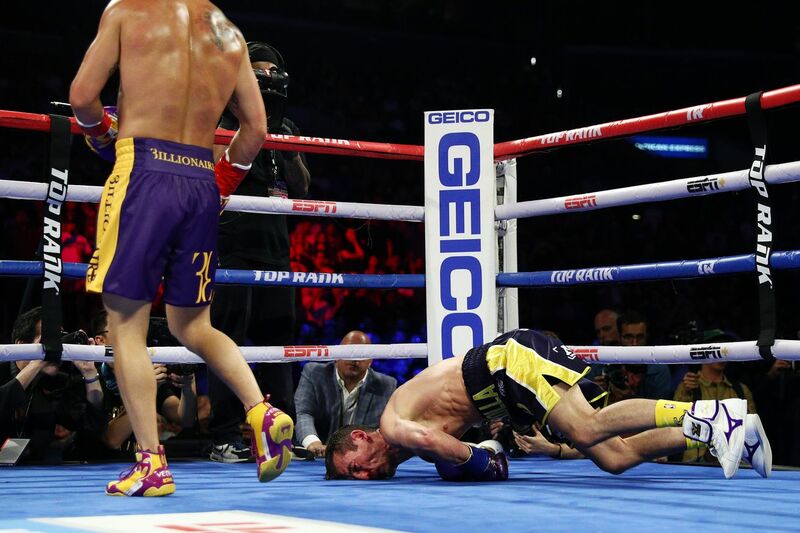 Edgar went crashing to the canvas and “T-City” pounced on top for an insurance hammer fist before the referee stepped in. Check out the memorable knockout finish above courtesy of UFC. With this performance, Ortega undoubtedly locks down a title shot with current UFC featherweight champion Max Holloway. The 27-year-old has been an absolute menace since joining UFC back in 2014 and has culminated all of his efforts by flattening a legend like Frankie Edgar in less than five minutes. Ortega is looking like the complete package and should give “Blessed” his toughest championship test to date. For complete UFC 222 results and coverage click here. 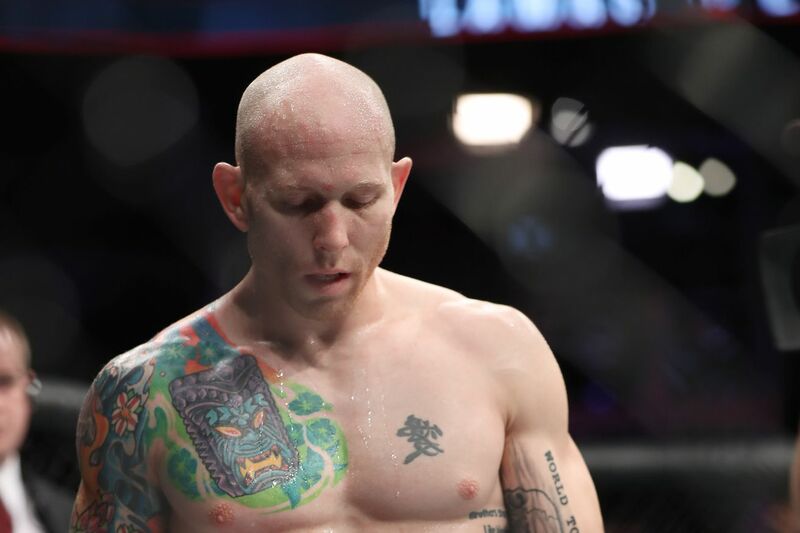 Josh Emmett scored a beautiful first-round knockout over No. 3 ranked Featherweight Ricardo Lamas in the co-main event of last night’s (Sat., Dec. 16. 2017) UFC on FOX 26 event in Winnipeg, Manitoba, Canada. Unfortunately for Josh, he didn’t win a $ 50,000 “Performance of the Night” bonus. That’s because he was excluded from earning a post-fight check due to the fact that he missed weight. Now, the lifelong wrestler is hoping the UFC powers-that be can find it in their hearts to make an exception for him, especially since he took the fight on short notice and bailed them out of a pickle. Indeed, Emmett stepped in to face “The Bully” after Jose Aldo was yanked from the event in order to face Max Holloway at UFC 218 a few weeks ago with Frankie Injured. But, as is custom, the promotion excludes fighters from winning the extra coin if they don’t hit their mark. That said, should the world’s leading fight promotion make an exemption for Emmett — or any other fighter who does them a solid an accepts a short notice fight — since making the required weight on limited time is that much tougher? For full results and round-by-round coverage of UFC Winnipeg, click here. The running theme of the week that was Jeff Horn was a real-life Rocky, that he was this local kid with no chance to win against an all-time great world champion. But unlike in the original “Rocky” movie, Horn actually walked out of the ring as the winner and new WBO welterweight champion.